Halloween Parties and Trick or Treat Events can be seen everywhere when the last week of October started. Kids dressed in their favorite cartoon characters and scariest costumes are found in villages, malls and events place with their pumpkin baskets filled with candies and chocolates. I actually prepared 100 small bags of candies because my daughter's school scheduled a trick or treat event where nursery to elementary students will go to every student's house to ask for candies. 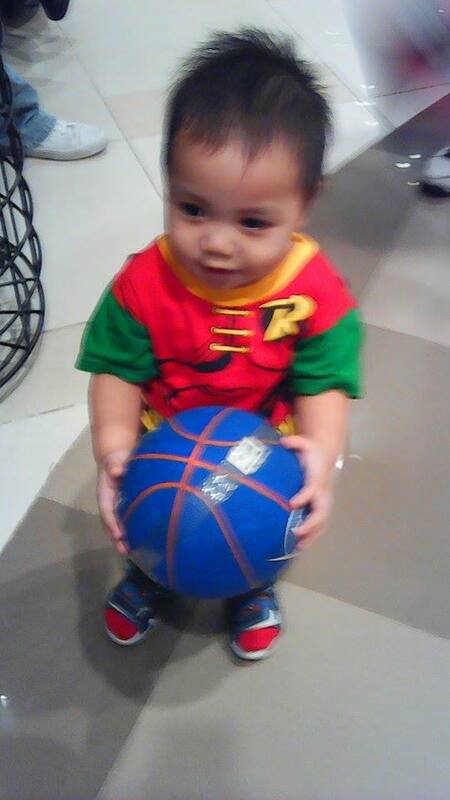 Even my small kid attended a Halloween Party yesterday and both of them got a lot of candies and chocolates. It made me think a bit that what they got can be bad not only for their teeth but also for their health if taken in huge amounts. Good thing, I discovered something that kids would definitely enjoy and wouldn't be bad for their health. 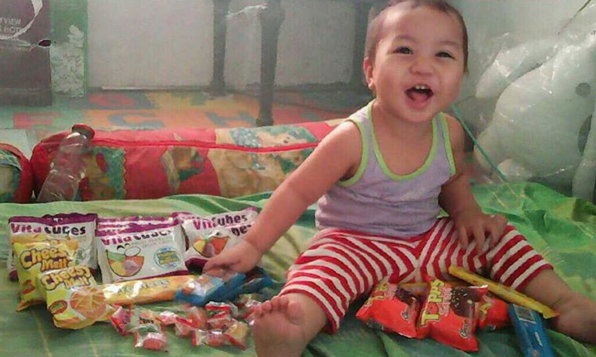 Rebisco Philippines is now offering a candy that is very delicious and nutritious at the same time. It contains high amounts of vitamins and minerals that would make your kids feel better and happier. 1. Lysine - contains 70% of the child's RENI. It aids the body in proper growth and energy production. Also helps in calcium absorption. 2. Zinc - contains 70% of the child's Recommended Energy and Nutritional Intake (RENI). It is also known to help in proper functioning of the immune and digestive systems, energy metabolism, and in increasing the rate of healing for wounds. 3. Vitamin A - contains 40% of the child's RENI. It helps in increasing the body's immunity to fight infections. It also plays an important role in ensuring healthy eyes and bone development. 4. Vitamin B - supplies 30-70% of the child's RENI. It promotes growth and strength and stimulates memory in children in their formative years. It helps boost the oxygen circulation in the body, especially the brain, which in turn improves concentration. It also helps convert carbohydrates and fats into energy. 5. Vitamin C - It helps form and repair red blood cells, bones and tissues. It helps your child's gums stay healthy. It strengthens your child's blood vessels, minimizing bruising from falls and scrapes. It helps cuts and wounds heal, boost immune system and keep infections at bay. It also helps the body absorb iron from food sources. 6. Vitamin E - supplies 45% of the child's RENI. It boosts the immune system and helps the body fight germs. It keeps blood vessels open wide enough for blood to flow freely. It also helps the cells of the body work together to perform many important functions. Indeed, Vita Cubes is a great treat for our kids with all these essential nutrients and is a good alternative to the usual candies and chocolates that we give to kids at Halloween Parties and Trick or Treat Events. My kids love Vita Cubes that's why I am very thankful for receiving these as a Halloween Treat. 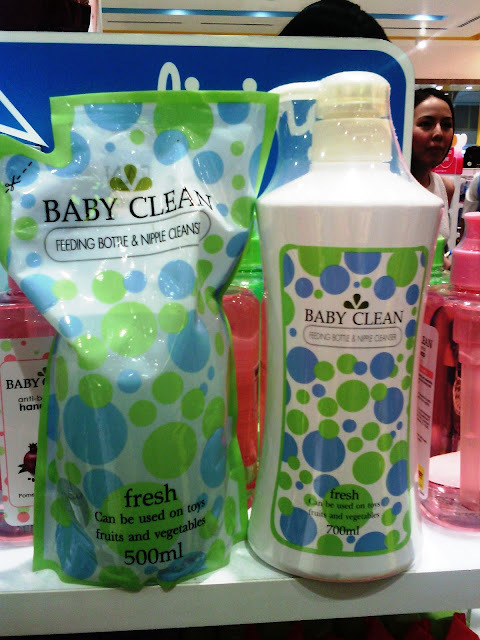 Thanks to Rebisco Philippines and Mommy Bloggers Philippines! My baby's smile shows how much he loves what he got yesterday! :) I recommend this to all the mommies out there. Who wouldn't want a yummy treat which is very nutritious for their kids, right? Go grab some at all supermarkets nationwide. It is available per box (containing 10pcs of 50g packs) or per individual 50g pack which costs P12.00/pack. It can also be bought per piece (P1.00/pc) at sari-sari stores nationwide. Once a month, women turn temporarily into monsters - unpredictable, confrontational, irrational and emotional monsters. As such, they wreak havoc on those that dare cross them. Acquaintances, friends, loved ones… none are spared. Why? Premenstrual syndrome (PMS). ATC Evening Primrose relieves premenstrual syndrome (PMS) and breast tenderness associated with the menstrual cycle. It also helps alleviate hot flashes caused by menopause and reduces symptoms of eczema and dermatitis. Don’t be a PMS monster, take ATC Evening Primrose. ATC Evening Primrose is recommended to be taken one capsule a day, preferably with warm water. 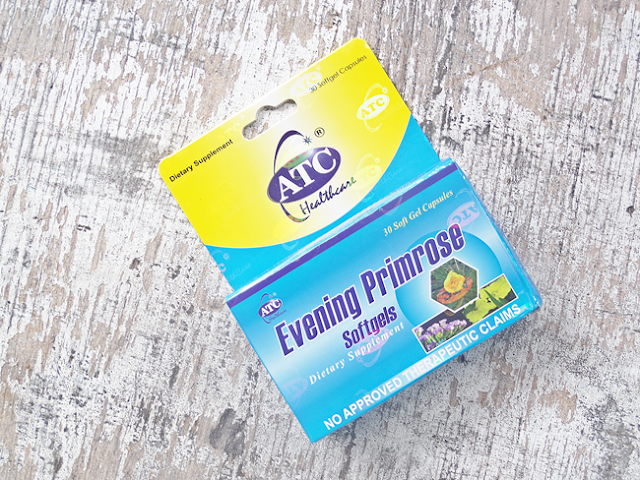 ATC Evening Primrose is available at Mercury Drug and all leading drugstores nationwide for SRP P6.00 per softgel capsule. ATC Evening Primrose, the supplement for women. 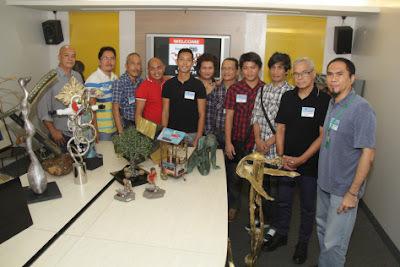 The Rotary Club of Makati West (RCMW) is calling on art lovers to support their annual all-sculpture exhibit-sale dubbed “Alay Sining” to be held at The Gallery, Greenbelt 5, Makati City from November 12 to 15, 2015. Now on its eight year, Alay Sining 8’s theme is “Art with a Heart” which complements the Rotary International’s theme of “Be a Gift to the World”. Alay Sining is a fund-raising initiative for one of RCMW’s signature projects, the Gift of Life program, which gives congenital heart disease (CHD) patients under the program with free heart surgeries. According to RCMW President Victor “Junvee” Vital, supporting the art-for-a cause exhibit will not only mean supporting Filipino children with heart ailments but also local artists. Both seasoned and new sculptors will be contributing pieces to the Alay Sining, and donating a portion of the sale price of their art pieces to the exhibit’s intended recipients – the CHD patients that will be given free heart surgeries under the Gift of Life program. “If you support Alay Sining, you don’t only support children with heart ailments, but Filipino artists as well. So I say, “Start saving hearts through art,” said Vidal. Rotary Club Makati West officers and members (L–R) Edsa delos Santos, Davy Lim, AP Bartolome, Alay Sining 8 chairman Paolo Delgado, Greenbelt’s Cel Gera, Ayala Malls manager Mina Domingo, RCMW president Junvee Vital, Roque Tordesillas and Patrick Dionisio are joined (center) by the beneficiaries of the Gift of Life program and their parents. According to Paolo Delgado, this year’s chairman of the exhibit’s Organizing Committee, this year’s Alay Sining will be joined by over a hundred artists who have sent their respective works for the exhibit. 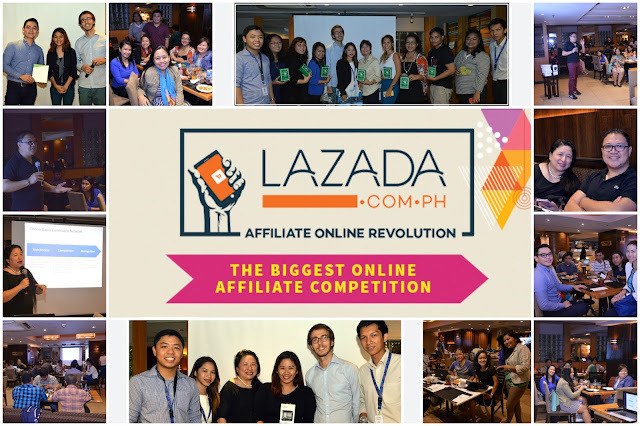 “They are from all over the country – we have some from Palawan, Mindanao and Cebu. So, it’s really a Philippine-wide sculpture shop, and what’s really nice is that all of the artists have joined because they want to support the Club and the Gift of Life,” said Delgado. Some of the participating artists of the Rotary Club of Makati’s Alay Sining 8 showcase their artworks during the exhibit’s recent presscon: (L-R) Jaime Nepomuceno, Glen Cagandahan, Benjamin Dailo, Fred Caedo, Kish Javier, Helena Alegre, Merlito Gepte, Jaime Gubaton, Milmar Onal, Ral Arrogante, and Jinggoy Salcedo. “They (the artists) have taken all the time and the effort to be with us. We’ve had a lot of them over the last eight years, and they have been with us since the first Alay Sining, when we are still learning how to run an art exhibit. And it’s really been heartening and we are very thankful for all the support that the artists have given us,” he added. Explained Delgado, congenital heart disease usually forms at a very young age, and the mortality rate is not very good. “Even if you do survive, you end up living a life with some sort of a handicap… you will not be able to engage in sports which young kids should be doing at their young age. So this fundraising that we run for the Gift of Life can really make a world of difference for the children out there,” he said. RCMW member and former president Roque Tordesillas said that the cost of a heart surgery in a private hospital ranges from Ph800,000 to more than Php 1 million if for an open-heart surgery. “But because of the work we have done at the Rotary over the past 11 years, we have established ties with the National Children Hospital, our main partner, which have brought down the costs because of subsidies. So that the Club only pays about P100,000 up to P200,000 especially for more complicated surgeries. Tordesillas also lauded the Alay Sining artists calling them the “heroes” in this project. Rotary Club Makati West officers and members (L–R) Edsa delos Santos, AP Bartolome, Davy Lim, Paolo Delgado, President Junvee Vital, Roque Tordesillas and Patrick Dionisio with some of the participating artists of Alay Sining 8, a fund raising project of the Club for the Gift of Life program, which provides free heart surgery to children with congenital heart defects from indigent families. Speaking on behalf of his co-artists, Ral Arrogante, who have been with Alay Sining since Year One, said that for them artists, doing charity completes their vocation. Since hindi kami maka-contribute ng cash, kino-contribute namin ang aming works. 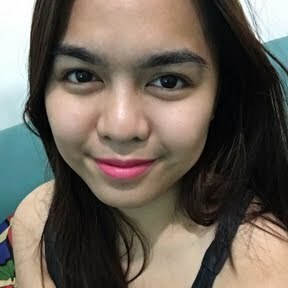 Hindi din kasi magiging full ang pagka-artist namin kung wala kaming tinatawag na kawanggawa. So ‘yun lang ang maitutulong namin… ang aming mga sariling gawa (Since we cannot contribute cash, we contribute our works. We can’t fully consider ourselves as artists if we don’t do charity. 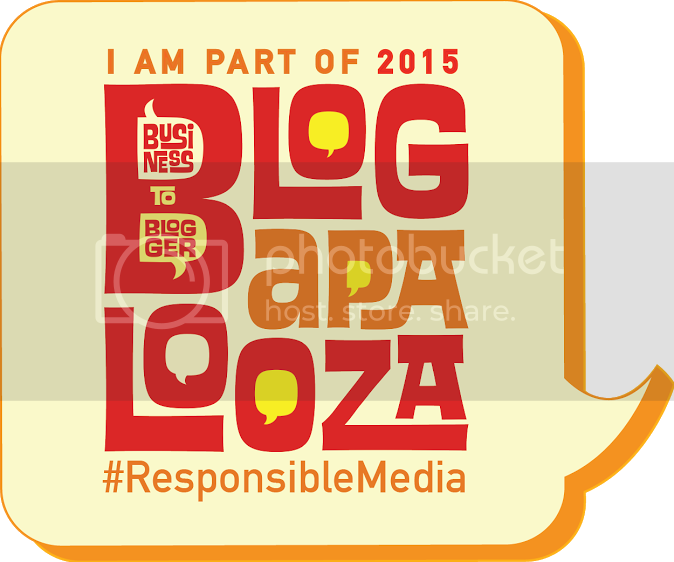 Our works are the best things that we can contribute),” he said. Do you want to experience a one of a kind Halloween Party with your whole family? 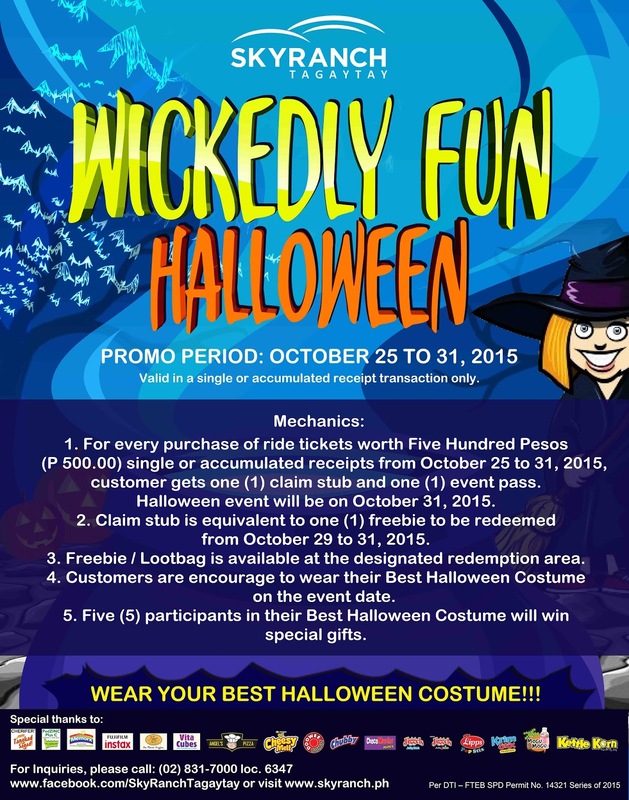 You might want to check out the Wickedly Fun Halloween Party at Sky Ranch Tagaytay! There will be loads of activities and games planned especially for you! Enjoy a scavenger hunt and a mystery game that you and your kids can enjoy. Your dancing skills will also be used during the event so be ready. 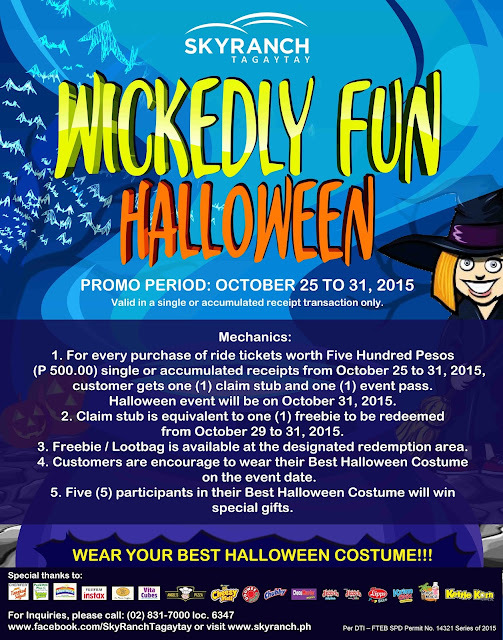 The main event during the party is the Costume contest wherein 5 kids with the best Halloween costumes will win special gift, so make sure that you prepare something impressive. I've been to Sky Ranch Tagaytay twice and I really enjoyed the exciting rides there and the view of Taal Lake and Volcano. There are still a lot of attractions that are not yet operational so I really look forward to coming back to Sky Ranch Tagaytay to experience more fun once the other rides open. Aside from the famous Sky Eye and Super Viking, new rides such as the Bumper Boat, Boat Parade, Challenger and City Rail are now available for everyone to enjoy. After trying all the rides, you may want to grab some food at Sky Ranch's dining establishments or relax at the gazebos while enjoying the view of the Taal Lake and Volcano for only P750.00 (Mondays to Thursdays) and P1,000.00 (Fridays to Sundays/Holiday). A huge events venue is also found at Sky Ranch for special occasions. 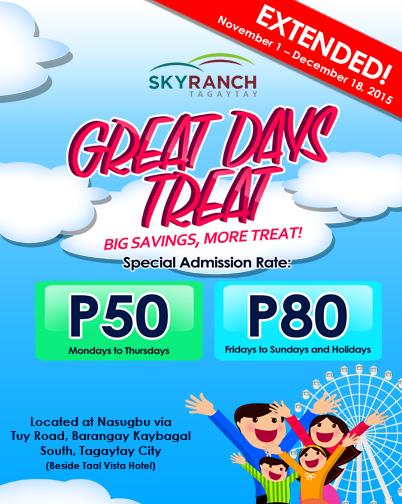 Visit Sky Ranch Tagaytay now as they have extended their Great Days Treat! You can experience what Sky Ranch has in store for you for a special admission rate of P50.00 (Mondays to Thursdays) and P80.00 (Fridays to Sundays/Holidays) from November 1 to December 18. Grab this amazing deal and bond with your family at Sky Ranch Tagaytay! Park is open on Mondays to Fridays from 10am-10pm and Saturdays, Sundays, and Holidays from 8am-10pm. To know more about what you can expect inside Sky Ranch, visit them on their Facebook Page. Ever since I got pregnant, one of my favorite past times with my hubby is shopping. Although at that time, I'm not actually buying stuff for myself but for the little baby in my womb. Whenever we are at the mall, it's like there's a magnet at the department store's baby section that I just have to look around and check out what's available there even if I won't really buy anything. Back then, I enjoyed looking for affordable yet durable things to complete my Hospital Bag Checklist at Baby Company located at a mall near our house. They have so many brands to choose from with products that are trusted by moms and dads for their little ones such as Philips Avent, Graco, Disney, Maclaren, Pigeon, Chicco, Dr. Brown's, Tommee Tippee, Safety 1st, Lamaze and Fisher-Price. 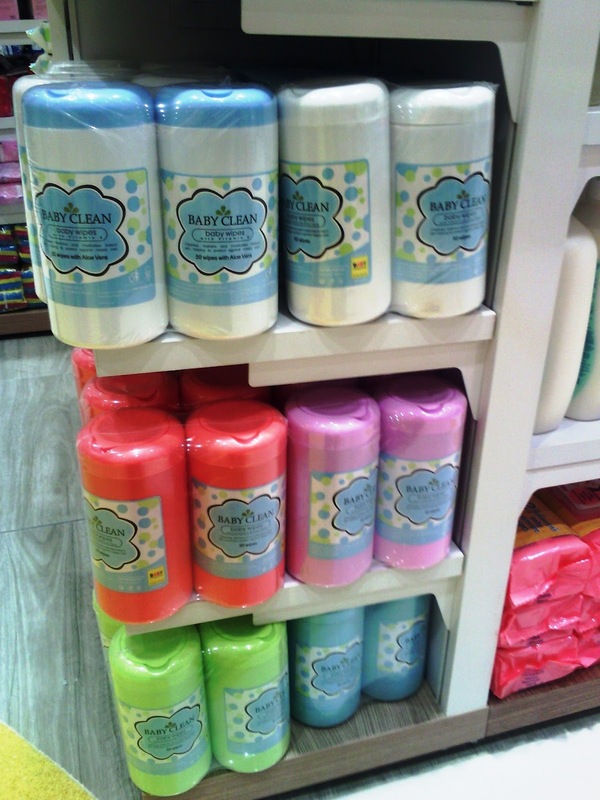 What's great is that they also have in house brands that are pocket friendly like Lulu, Baby Clean, Babyco, Picolo, Ollin and Play Smart. Baby Company is actually an SM affiliate way back in 1991 that started off as an Infants' Accessories and Furniture section from the Department Store. At present, they are known as the One-Stop Shop for all our baby needs with currently 50 stores nationwide inside SM Department Store, 6 Mall Boutiques (Power Plant Mall, SM Aura Premier, SM North Edsa, The Block, SM Fairview and SM Cebu and 17 Select stores inside SM Hypermarket outlets. Present during the ribbon cutting were beautiful Celebrity mommies/bloggers Patty Laurel-Filart, Kelly Misa-Fernandez and Andi Manzano-Reyes. The store has a modern design and made shopper friendly with a size of 400x650 sqm. They applied vibrant colors, ample amount of lighting and systematic merchandise grid. Looking for specific brands would also be very easy for shoppers as they have provided brand signage all over the store. With additional elements such as colored cubes and baby photo graphics, the store looked more fun to shop at. They also placed tables at some parts to showcase their featured items. Besides the promos and discounts that I get to avail when visiting Baby Company, what makes me come back for more is that I am able to use my Mom Card at the store. 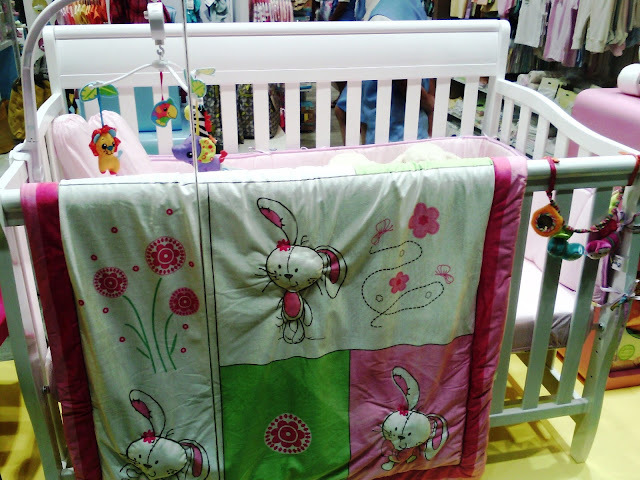 Mom Card is Baby Company's Loyalty Program wherein frequent buyers get rewards such as rebates when used upon payment. Having a Mom Card can also entitle the holder for exclusive offers, may be able to attend Special Events, etc. Lastly, Baby Company's Baby Registry makes shopping for babies easier and it offers great benefits to both parents and friends as people who purchase items on your registry can receive a 10% on all regular items and free gift wrapping. Although the Baby Registry is available only in stand-alone stores, you may avail the same offer at The Gift Registry on Sm Store branches. 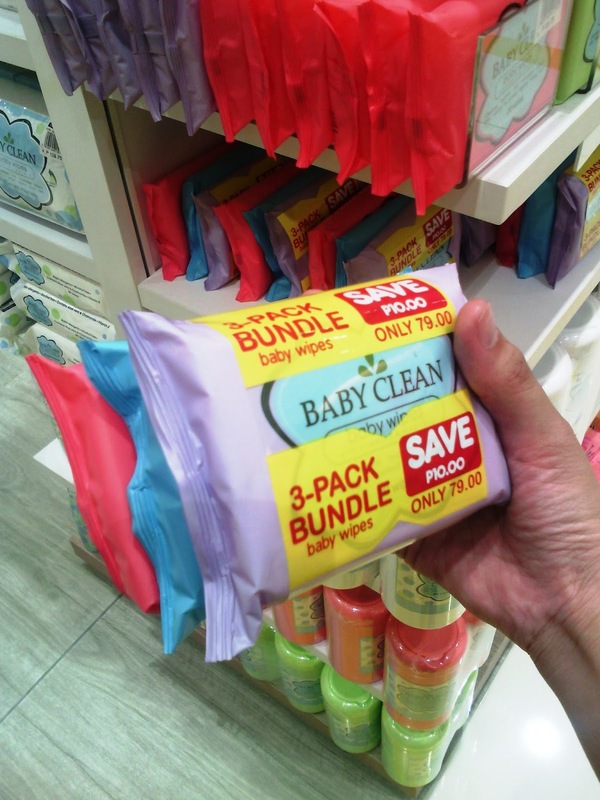 So to all mommies out there, make sure to check out Baby Company stores in malls near you to get the same discounts and promos I experience when shopping at Baby Company! To know more about Baby Company, you can check out their Website and follow them on Facebook, Twitter and Instagram to get the latest updates on promotions and events. But if you are about to attend a baby shower and you want something useful but is very unique and funny at the same time, you might want to check out Kokopax's best funny baby shower gifts. This will surely surprise and make the expecting mom really happy. Play Kitchen Catch-Up with Your Kids!